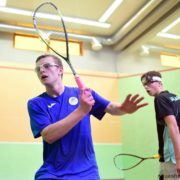 The 17-year-old has been selected to compete in Chennai, India from July 18-29 alongside fellow Scots Alasdair Prott, Chris Murphy, John Meehan and Georgia Adderley. The boys will be competing in both the team and individual events with British Junior champion Adderley focusing on the individual competition. 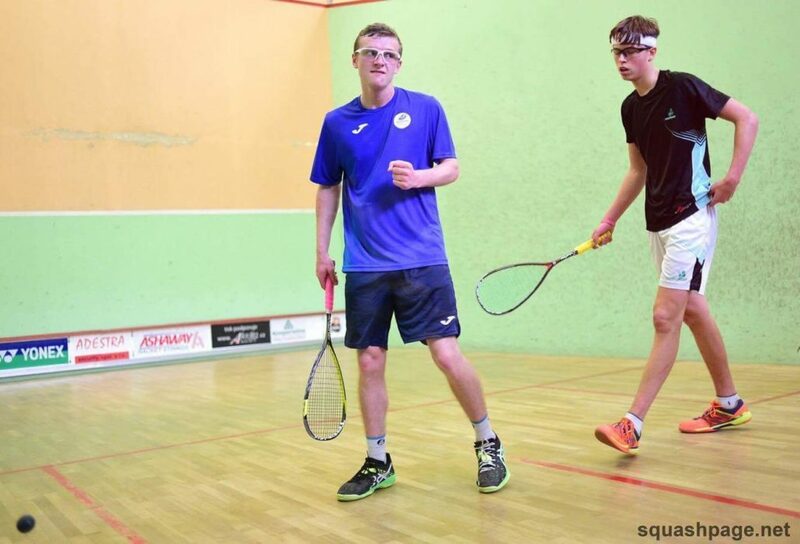 The Men’s & Women’s World Junior Individual Championships will take place at the Indian Squash Academy from 18-23 July, followed by the biennial Men’s World Junior Team Championship from 24- 29 July. A thrilled McCann said: “When Paul Bell (Scotland National Coach) got in touch to ask if I was available for the World Juniors in India, it was an easy decision to say yes and I’m delighted to get selected. “I am really looking forward to it, I’ve never been to that part of the world so it will be an amazing experience, the chance of a lifetime. “I have played at a European level before for Scotland but this is on a different scale altogether competing against players from all over the world. He continued: “Competing for Scotland in a team environment is by far the best events to play in. “Nothing comes close in terms of the team spirit when you are away. “You get to watch and take part in quality squash, it’s such good fun. “My first Scotland cap was an under-15s Five Nations match against Wales when I was 14 and it has been virtually the same team since then so we know each other really well and are good pals. “Al Prott is still young but has done a lot of good things on the European and British stage so it’s a strong team and hopefully we can do well in India. 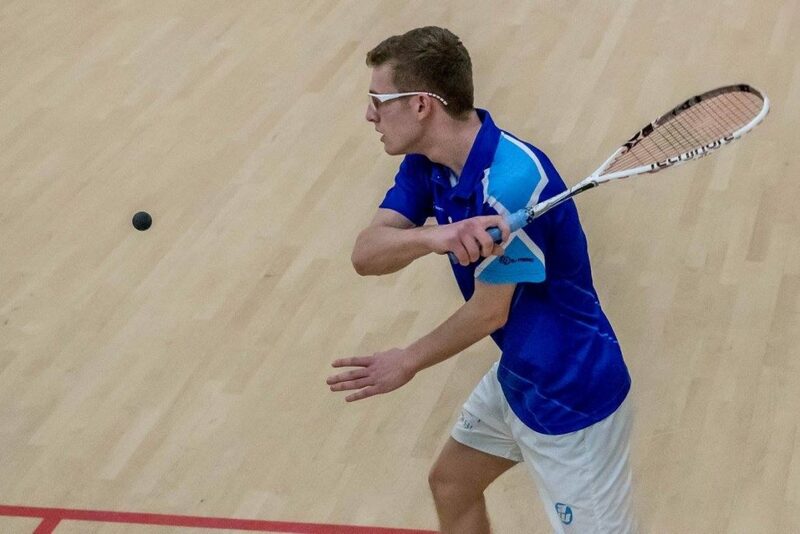 McCann has just completed his final year at Williamwood High School in Glasgow and will now put all his focus on his squash before starting a Chemical Engineering degree at Strathclyde University in September. He has been training twice a day recently and says he’s always managed to find the balance between his studies and a love for squash. “I have been very good at time management and knew when to put the work in at school and then on the squash courts,” he explained. “The Chemical Engineering course at University will be intense but I’ll look to keep that balance right. 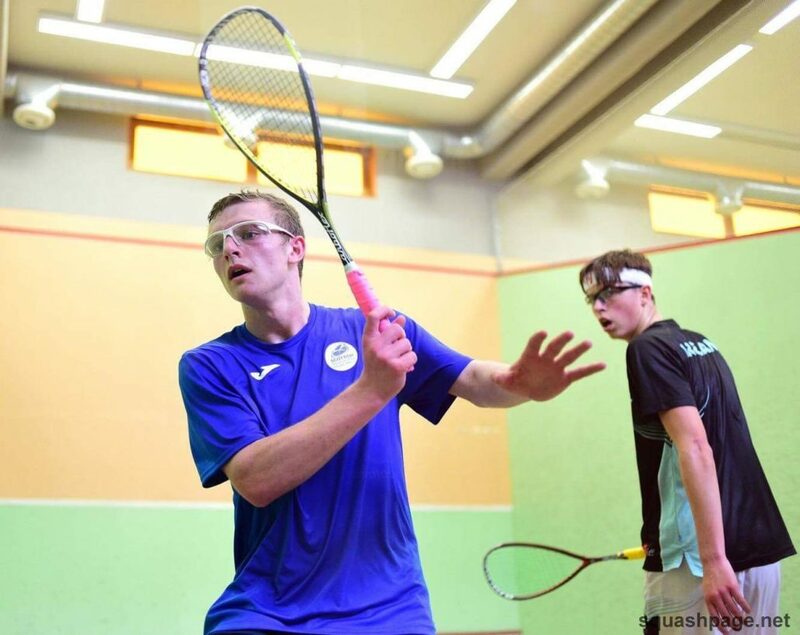 “Over the last month or two I have dedicated a lot to my squash and will continue that for my World Junior preparations. “I have done kickboxing to keep my strength and fitness up and I get a PT session once a week which I try to mirror on my own. He added: “I enjoy it down at Newlands LTC, it’s such a good support network and the O’Hara’s have coached me since I was really young. Individual events – All the boys plus Georgia Adderley.